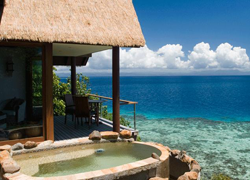 When we think of a Luxury Honeymoon in Fiji, a couple of our favorite resorts come to mind. They have amazing staff, outstanding accommodations, top notch meals, are situated with privacy, and offer many activities to guests at little or no extra charge. We would like to feature two of our favorite locations. They are Royal Davui and Qamea Resort & Spa. 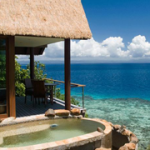 These resorts are located in very different regions of Fiji yet they still embrace all of the special factors that our Honeymoon and Getaway clients expect – and more. For those seeking the perfect Destination wedding location, both of these resorts offer a very personal touch in wedding design. Both resorts can be booked for a small private party, or offer exclusive weddings for the couple alone. In all cases the weddings are limited so that there are only a certain number of weddings per week (usually very few). In every case, Royal Davui and Qamea Resort & Spa exceed expectations. We invite you to enjoy a visual tour of each resort!